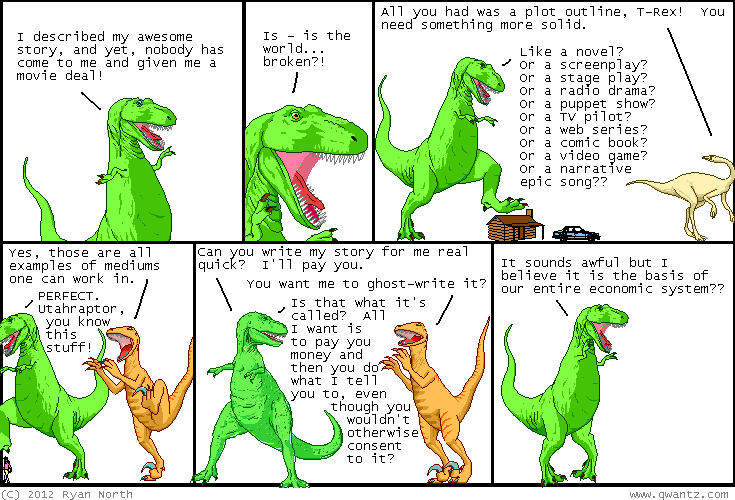 Dinosaur Comics - June 8th, 2012 - awesome fun times! June 8th, 2012: It's the weekend very soon!! LET'S ALL DO WEEKEND THINGS!